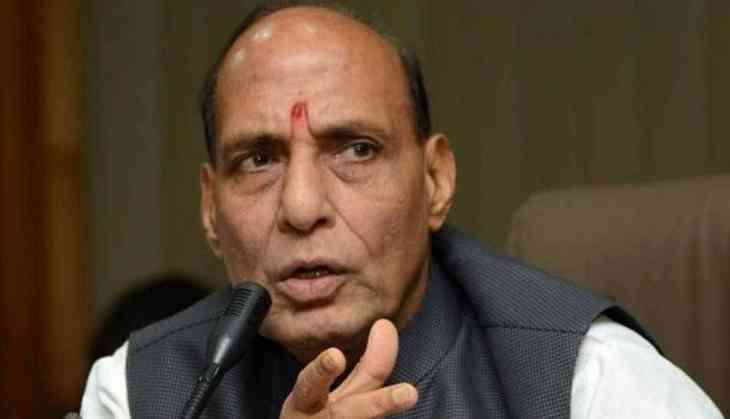 Union Home Minister Rajnath Singh today said the country was ready to extend support to Pakistan to deal with terrorism on the neighbour's soil. "Not only India, many other countries are hit by terrorism today but I want to tell you...have confidence...this will not go on forever...the prime minister has taken a decision that a decisive battle should be launched for its (terrorism) end and it has already begun," he said. Mr Singh was on a visit to the state to lay the foundation stone of the Group Centre of CRPF in Chakia Tehsil to be built at the cost of Rs. 850 crore. The facility will have residential houses, schools, hospitals, recruitment and training centres. "If Pakistan thinks it does not have the strength to deal with terrorism, it can seek the help of its neighbouring country India. "Pakistan will either have to wipe out terrorism from its soil on its own or else such a situation will be created that terror bases will be wiped out from Pakistan and no power will be able to stop this," the home minister asserted. "India has shown to the world that it has the strength to not only strike from its soil, if required, we can also strike on the soil of other country as we have this strength," he said. The senior BJP leader also termed India's invite to the Organisation of Islamic Cooperation (OIC) as a "diplomatic victory". Addressing the Central Reserve Police Force (CRPF) personnel in Chakia, he said the nation was proud of its brave soldiers like Wing Commander Abhinandan Varthaman and others. Expressing happiness over the safe return of the IAF pilot from Pakistan's custody, Mr Singh said, "India is proud of brave soldiers like you all." The home minister also paid tributes to the soldiers from the district who lost their lives in terror attacks, including the recent Pulwama attack. He also hailed the Army for its precision and accuracy for carrying out strikes on terror camps in Balakot. Mr Singh reiterated that the Union government was making all-out efforts to provide all sorts of facilities to the armed forces who guard the borders and protect the nation. Hailing PM Modi for formulating policies for the upliftment of farmers and the poor, he said all the schemes of the BJP-led NDA government were made to benefit farmers, labourers and the downtrodden people of the country. Uttar Pradesh BJP unit president Mahendra Nath Pandey and lawmaker Sushil Singh were among others present at the function.